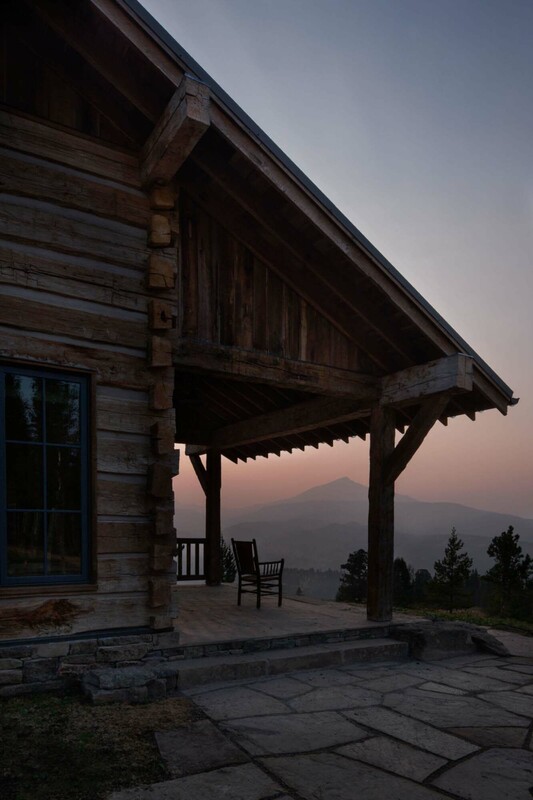 This secluded rustic mountain lodge was designed by Miller | Roodell Architects, located in the Big EZ Preserve in Big Sky, Montana. 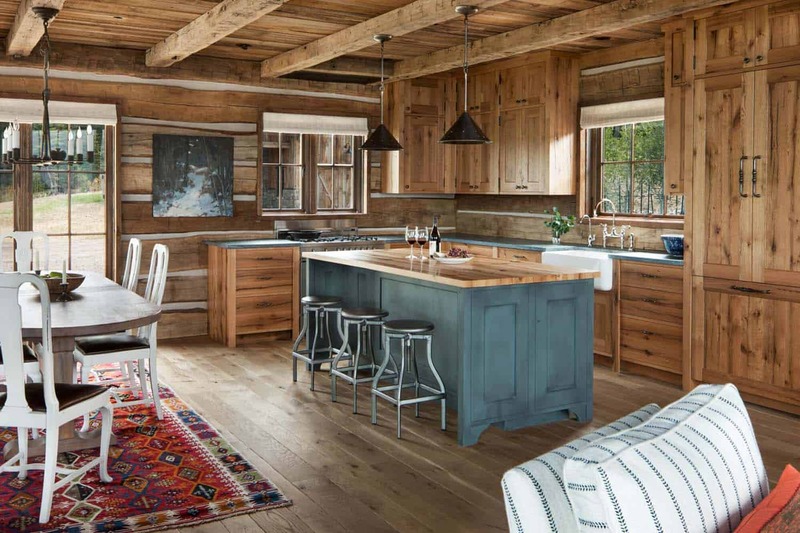 The scope of this project was to merge a Norwegian aesthetic with a Rocky Mountain setting. 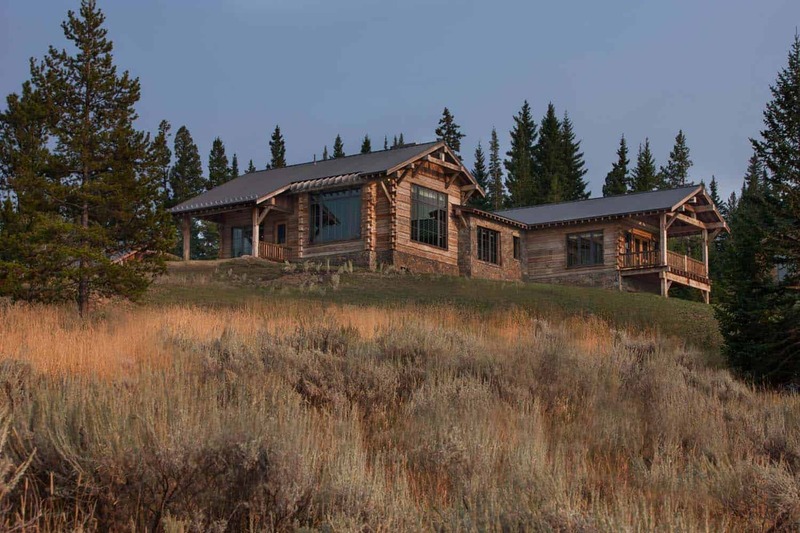 The property features a series of structures that are laid out to hug the treeline along the edge of a meadow. 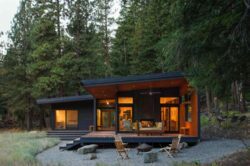 The architects focused on simplicity in design. 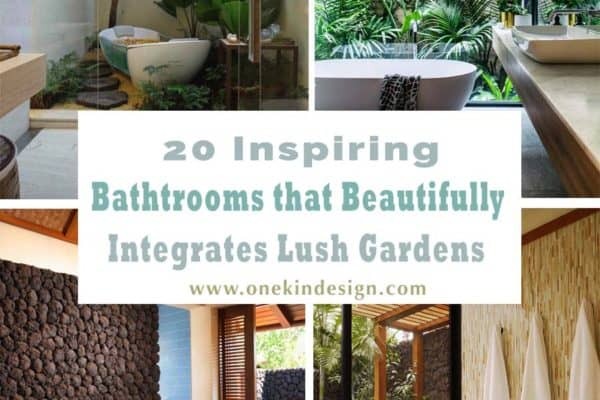 The emphasis was on creating cozy, human-scaled living spaces. 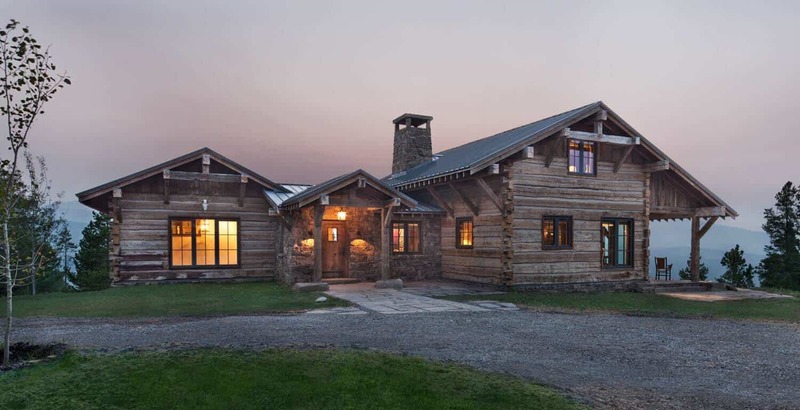 The property encompasses a 3,420 square foot, three bedroom main residence and a 1,963 square foot guest barn. 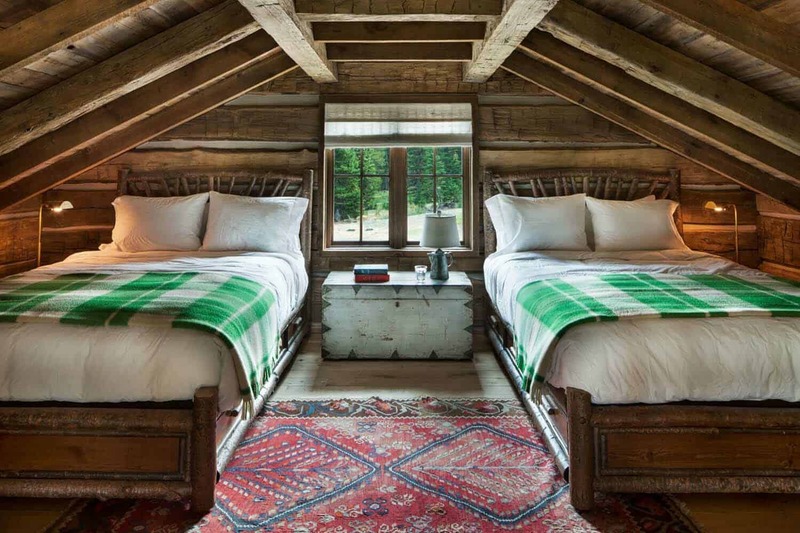 The guest barn offers bunk-style sleeping and an artist studio, comfortably blending into the natural folds of the geography of the property. 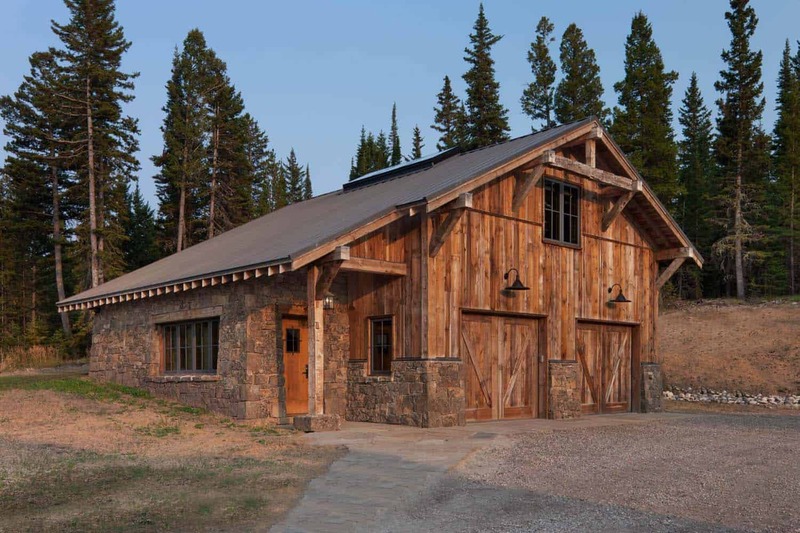 The simple design allows the native Montana moss rock, reclaimed wood and the intricate details throughout to take prominence. 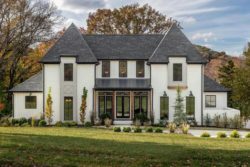 Above: Entitled “Paintbrush Ridge”, this exquisite home features a stone entryway reminiscent of a traditional Norwegian countryside cottage. 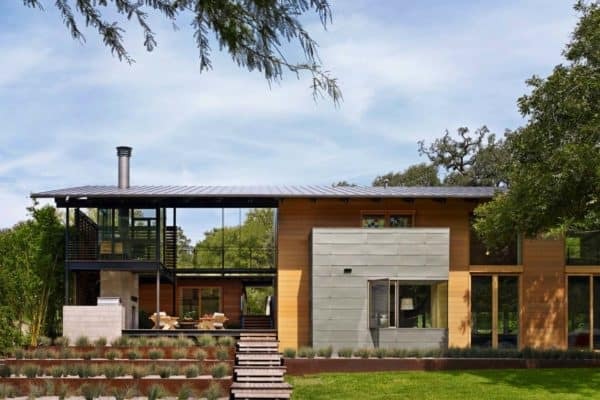 The couple and their five children enjoys this beautiful home that is fresh, open and full of natural light. 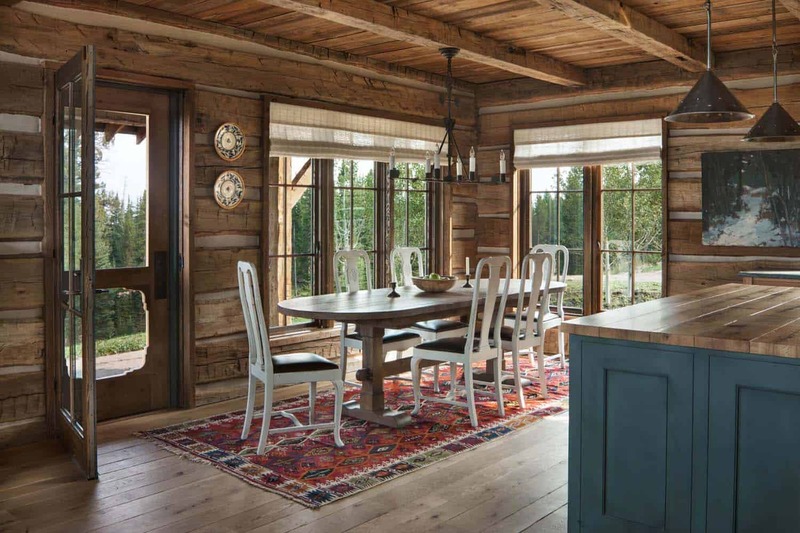 An abundance of windows offers expansive views of several mountain ranges as well as the forest. Above: A long writing-table just beyond the entryway is set in front of a bank of three tall windows. 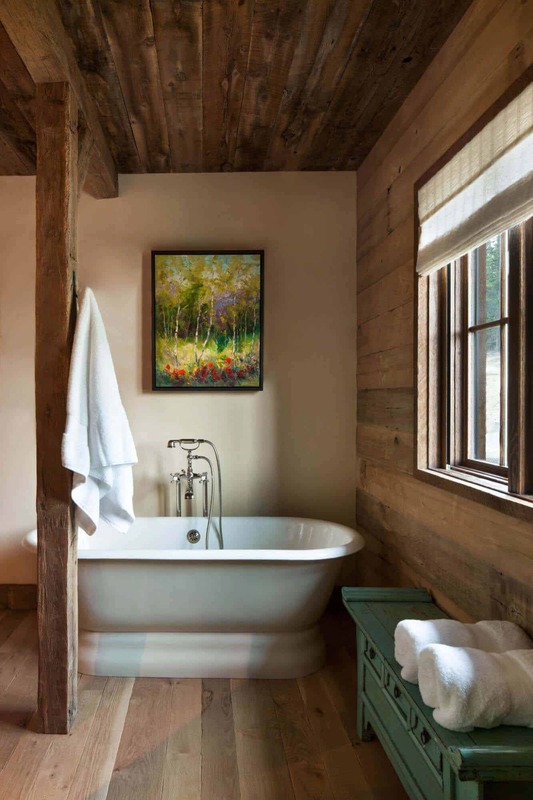 Located near the living room, this cozy nook offers the perfect sunlit spot for the wife who enjoys watercolor painting. 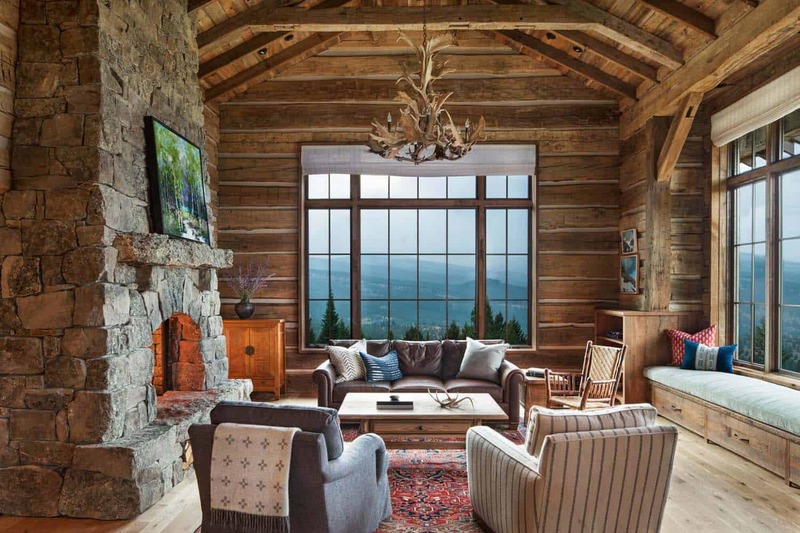 What We Love: This stunning mountain lodge features warm and cozy living spaces highlighting views of the Rocky Mountains. 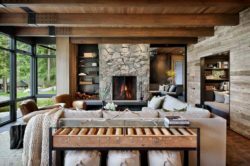 We are especially loving the gorgeous living room with its fireplace of Montana moss rock, soaring ceilings and beams of reclaimed timber. 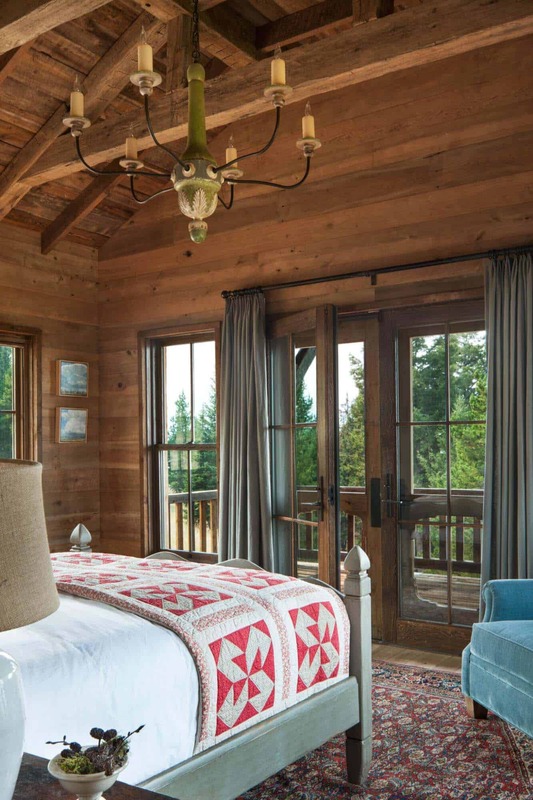 The sweeping views of alpine meadows through the expansive windows are simply breathtaking. 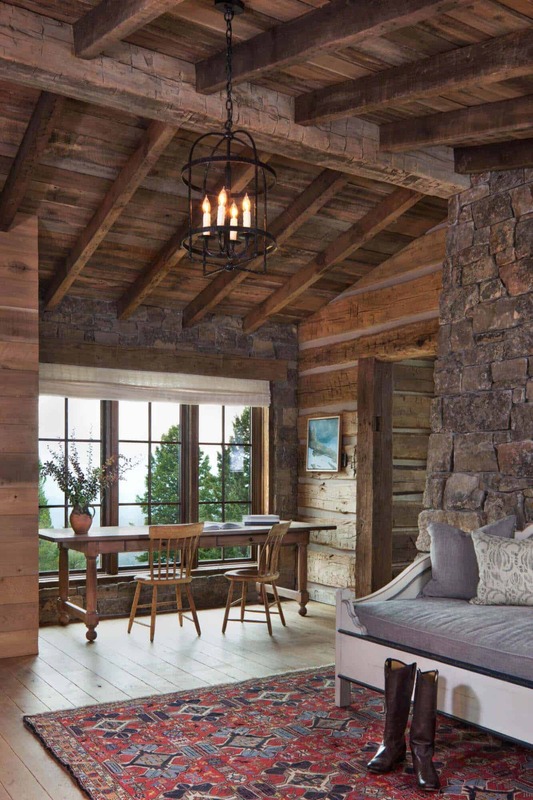 We could spend some time relaxing in this cozy respite, how about you? 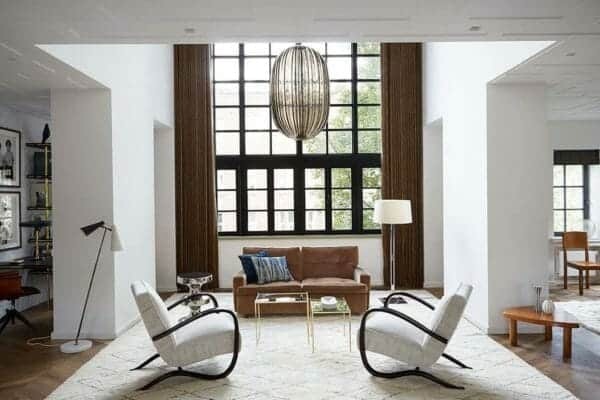 Readers, please share what details in this home stood out to you and why in the Comments! 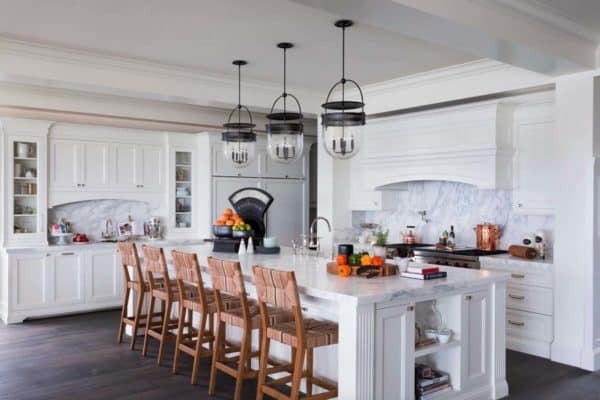 Note: Have a look below for the “Related” tags for more incredible home tours that we have featured here on One Kindesign from the portfolio of Miller-Roodell Architects. 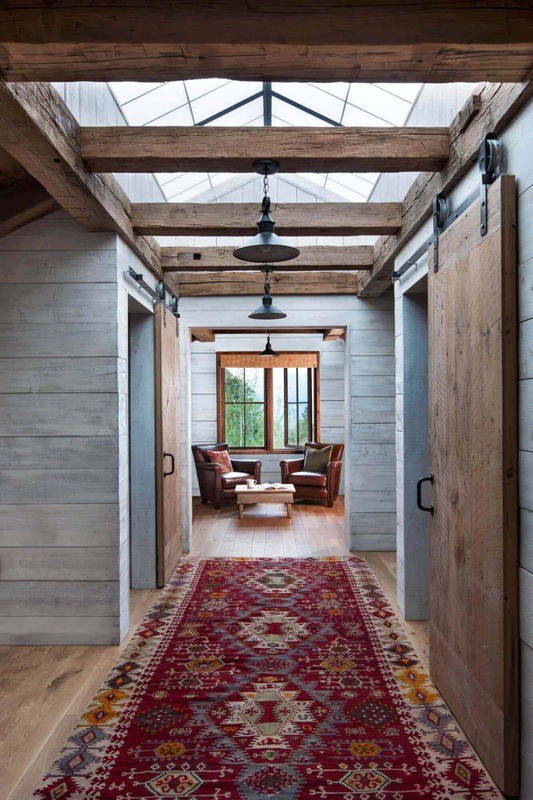 Above: The flooring is reclaimed white oak, while the ceiling beams are composed of weathered barn board. 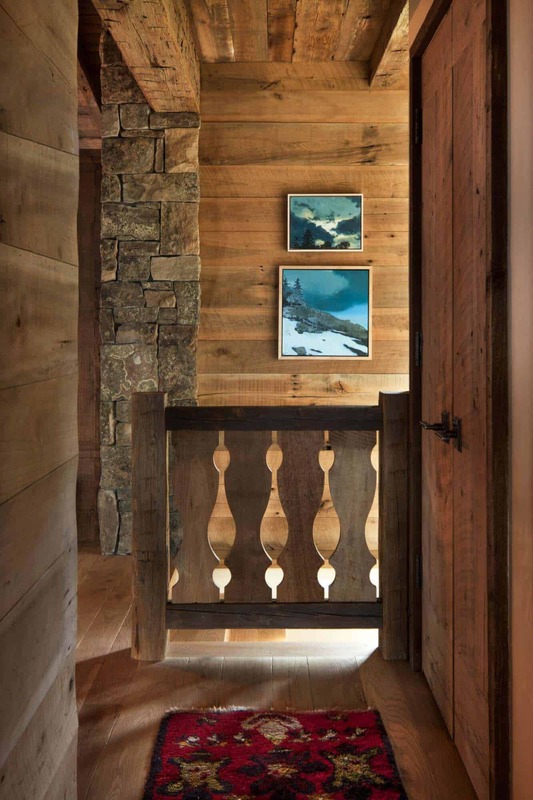 Above: Subtle Norwegian flourishes can be found on the interiors, including curvy, carved railings.